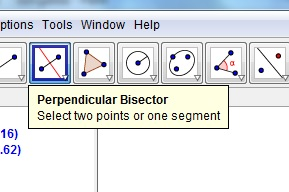 Using the following tool construct the Perpendicuar bisector of the given segment. How would you define "perpendicular bisector"? Can you think of another way to construct the perpendicular bisector of a segment but without using the Perpendicular Bisector tool? 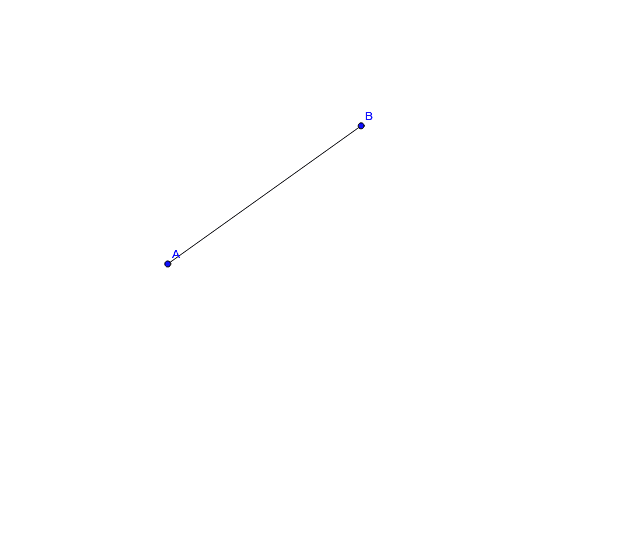 Open a new GeoGebra worksheet and construct the perpendicular bisector of a segment in a different way. 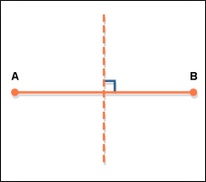 For this construction use the tools already explained, but without using the Perpendicular bisector tool. Save the exercise in your pendrive as Name_perpendbisector.ggb.